Martin Kaymer has enjoyed a spell of form in the last two years that has seen him shoot up the world golf rankings and reach the summit of the game after he dethroned Lee Westwood, who had in turn done the same to the ‘untouchable’ Tiger Woods. This success has not just been based on multiple wins in the last 18 months, including last year’s US PGA championship, but Kaymer’s impressive consistency has also been a key factor. With Kaymer’s extremely dependable and repeatable swing, perhaps this consistency should be expected. Yet even with all his recent success, Kaymer has been reworking the swing that has seen him become the world’s best golfer in preparation for the US Masters. Rather surprisingly Kaymer has a relatively dismal record at Augusta having only broken par once in three appearances and has not yet made the cut after two rounds. Kaymer has identified the problem: he hits a fade off the tee. A fade provides players with more control than a draw shot but as a genuine major contender, Kaymer is not satisfied with being a one trick pony. 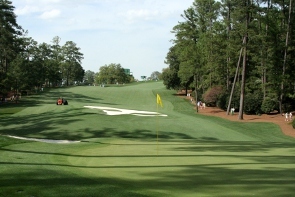 With at least eight of the tee shots at Augusta requiring players to hit a draw to gain maximum advantage, Kaymer’s swing changes have been aimed at allowing him to hit whatever type of shot that is required. Perhaps then, it comes as no surprise that Phil Mickelson has enjoyed so much success at Augusta. 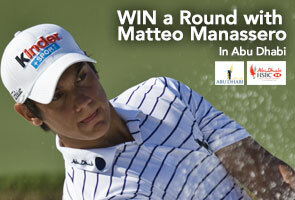 Being a lefty has allowed him to power fade his way to three Masters titles out of the last seven. 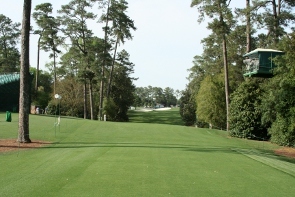 In a similar move, Tiger Woods famously revamped his swing after demolishing the field in his first Masters in 1997. 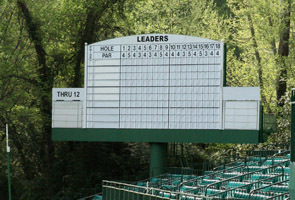 These changes served Tiger Woods well and it will be interesting to see whether Kaymer reaps such rich rewards at Augusta this weekend…it surely shouldn’t be difficult for him to improve on his previous showings anyway! 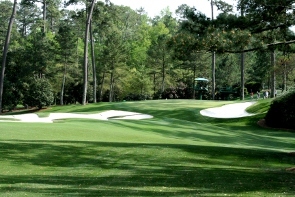 See the fabulous Augusta National for yourself. 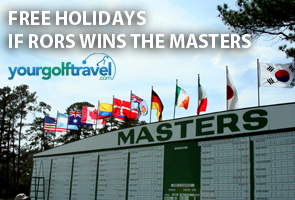 There are great US Masters packages on offer so swap your sofa for something grander in 2012. 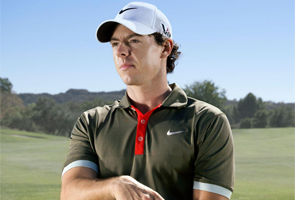 Print article This entry was posted by Rory on April 7, 2011 at 12:58 pm, and is filed under General. Follow any responses to this post through RSS 2.0. You can leave a response or trackback from your own site.